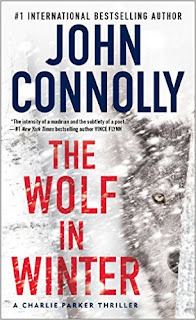 (63)Review: Like all the Charlie Parker books this one has its sinister tones the difference between this one and all the others is that Charlie is not in half the book. Instead it seems Louis and Angel take the wheel about halfway through and I was not at all disappointed. Charlie is an unknown factor in so many different worlds but mostly in the battle of good vs. evil. He is a ruthless killer but he is moral, dark things are attracted to him and the ghosts of his dead wife and child follow him around. His best friends are contract killers and he is not in the good graces of the police or FBI however he remains free, but where he investigates blood is sure to flow. Still on the trail of the Collector to settle debts from another book Charlie gets sidetracked when he starts investigating the apparent suicide of a homeless man and the whereabouts of his missing daughter. This leads Charlie to the town of Prosperous, a town with a dark past and an equally dark present but after Charlie gets there I doubt there is much future. There is something mysterious going on in this town that is old and hungry, the question is will it get to Charlie and friends before he gets to it. Its hard to start this series in the middle I feel like you would miss too much, so if you haven't started - turn away from this book and look over to Every Dead Thing and follow along. While each story stands alone for the most part the connections, rivalrys and interactions build on each other from book to book. 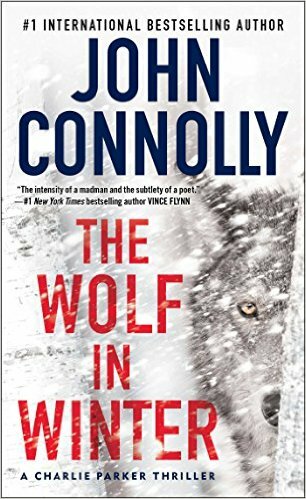 John Connelly has build himself a creepy little world filled with interesting mythology and equally intriguing characters. He is by far one of my favorite authors and has yet to disappoint. He has a new chapter to the Charlie Parker series coming out September 29, 2015 - stay tuned for a review of this new one!